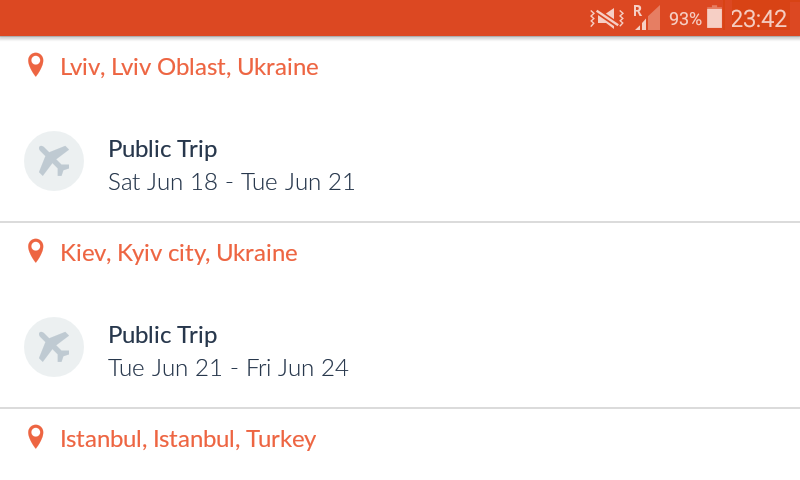 Some of the apps mentioned here are actually pre-installed in all Android phones, but I try to offer new ways to get most out of them while traveling. The phone I use is the robust and water-resistant Samsung Galaxy Xcover 3, but the same tips apply for other models. Yes, you can use camera to take pictures and videos of all the sights you see, but that’s not the only thing the camera is useful for. I also recommend that you take pictures of all the important signs that contain information valuable for you: city maps, bus schedules, subway maps… And if my accommodation is difficult to find, I take pictures of the route there when I leave the place for the first time to make sure I find my way back. In a sense, the camera works as a quick notebook that doesn’t require any writing. Besides taking pictures, I also take screen captures of important Google Maps locations, train schedules, route information and similar pieces of knowledge. To take a screenshot with an Android phone, press and hold the power and home buttons together. If the phone doesn’t have a physical home button, then the combination is usually the power and volume-down buttons. It’s best to keep all the dates and times stored in one place. Even if you’re only planning your future route, I recommend that you mark the departure and arrival times of your possible train and bus connections in your calendar (or S Planner, as the app likes to be called in English). This will save you a lot of time and effort later. 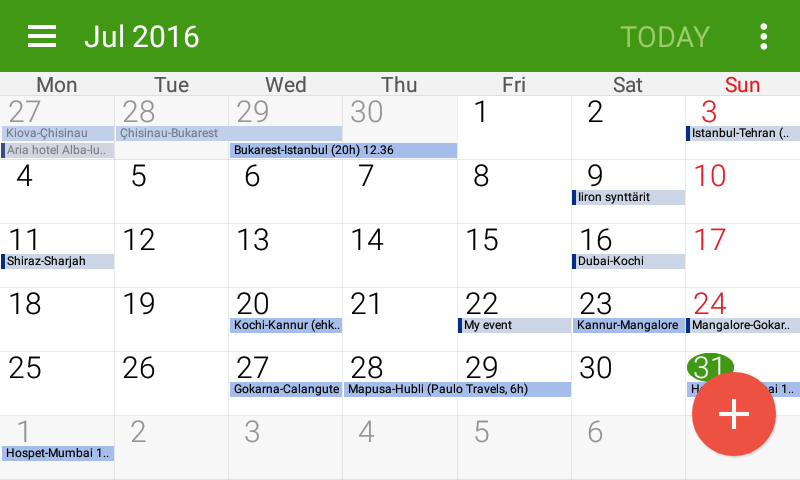 There is, however, one feature in the Android calendar that you should be aware of: if you don’t change the settings, the calendar will automatically change the times you’ve put in the calendar as you move from one time zone to another. So, the flight departure time of 9:30 am will (insidiously turn into 10:30 am if you head east by one time zone..
You can go to the calend… S Planner (I’m glad they just call it a calendar in the Finnish translation) settings and tick the “lock time zone” box, but then you still have to choose a time zone that all the calendar events follow. There’s no simple “just let me put a date and never change it” option. Google Maps is good, but after a few months on the road, I started to notice its limitations. While the Offline maps are great, you cannot download them in countries like Iran and United Arab Emirates. Therefore, you’ll need another map application. This is where the free MAPS.ME comes to rescue. 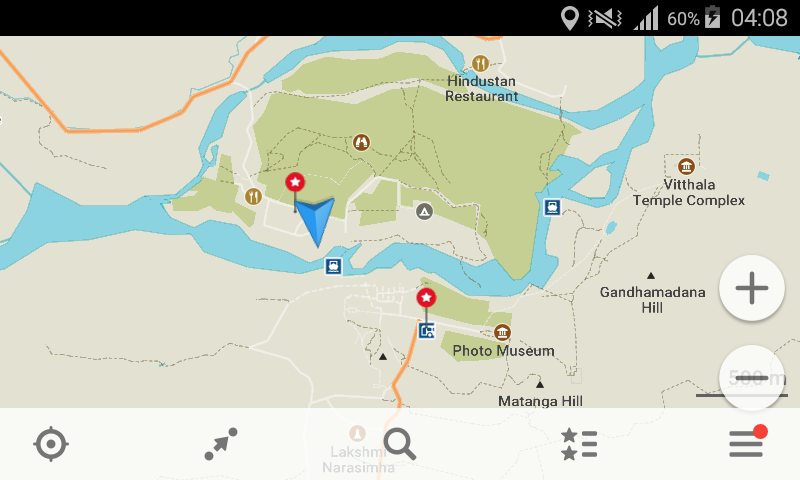 Unlike Google Maps, MAPS.ME allows the downloading of offline areas anywhere. It also offers to download whole, pre-determined areas such as countries and states instead of the self-cropped areas that Google makes you choose for yourself. It’s also very handy to have two maps instead of just one. Sometimes, my GPS navigation has worked better with MAPS.ME. And because the maps are a bit different, there are times when one of them offers more detailed and accurate information. TripAdvisor is a mobile app and website that tells about accommodation possibilities, restaurants, bars and sights in cities worldwide. The biggest advantage of TripAdvisor is that it greatly leans on the feedback and reviews of travelers. As the more popular place rise in the ranks, they become easier to find. 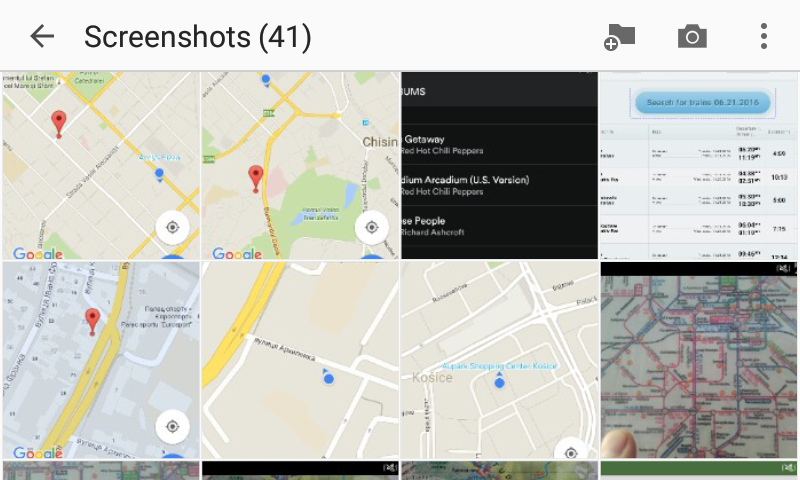 Users can search for places from filtered lists or look through the maps of the destinations. Like Google Maps, TripAdvisor works best with an internet connection. 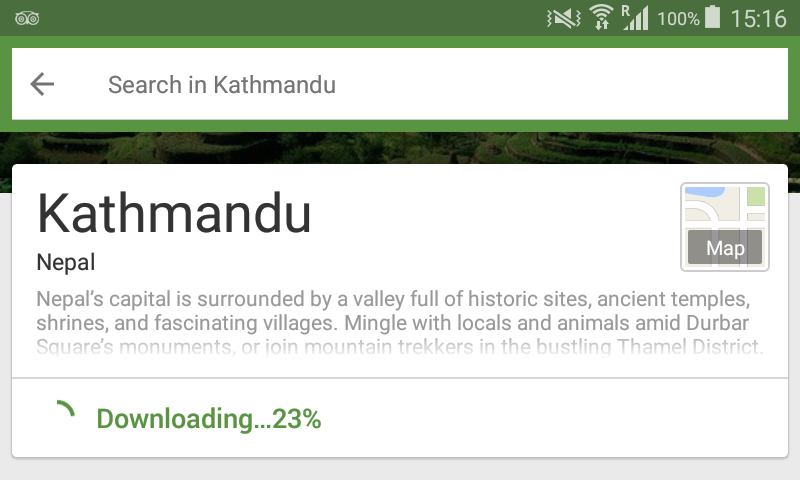 And like Google Maps, it lets users download offline areas. Sadly, TripAdvisor offers this possibility only for some bigger cities. While Prague in Czech Republic is included, Bratislava in Slovakia is not. Many people use TripAdvisor to look for hotels and hostels, but I prefer to use Hostelworld or Hotels.com on my laptop when I don’t try to get an accommodation from CouchSuring or airbnb. For me, the best feature of TripAdvisor is the possibility to look for restaurants nearby, read information about them and find their (hopefully correct) locations on the map. CouchSurfing is a website and mobile app that connects travelers and voluntary, local hosts all around the world. With CouchSurfing, you can stay for free all over the world, meet amazing people and learn about new cultures at the same time. While many people I’ve met think this sounds too good to be true, I can say from my own experience that CouchSurfing actually works. I usually use CouchSurfing with my laptop, because finding hosts and sending messages is much easier with a proper keyboard and a bigger screen. And while CouchSurfing as an idea works, the same cannot always be said about the programming of the system. The service seems clunky at times – the interface is mostly alright, but some glitches hint that things under the hood could work better. This is especially true with the mobile app, which feels limited in comparison to the browser version. There is, however, one great benefit for the mobile app. It not only makes checking for new messages easier, but it also stores the contents of your inbox offline. This is very useful when you’re heading to a new city and don’t have internet access during the journey. In my previous post “8 Ways How You Can Save Money for Traveling”, I encouraged those who plan to travel to keep track of their incomes and expenses. I think that same advice is as important when traveling as it is back home. After some searching, I chose a free app called AndroMoney for my own budgeting. AndroMoney offers easily editable categories and sub-categories, simple reporting tools and – perhaps most importantly – it has built-in currency exchange tools, so you can input the sums in all the local currencies and see the big picture in your preferred currency. The categories of your expenses will be quite different on the road than at home. The unlimited sub-categories can also encourage you to be needlessly specific of every fee. Try to find informative categories and sub-categories that will help you easily see where your money goes. The pre-installed categories that come with the application don’t suit very well for traveling, so I recommend you get rid of them altogether and build your own system from almost a scratch. I don’t want this blog post to carry on for too long, so I don’t write my categories and sub-categories here. Instead, I’ll post them in the comments down below. If you travel for a long time, you’ll eventually bump into blocked websites in different countries. I learned this the hard way when I did the Trans Mongolian train journey in 2015. While a few days without Facebook can be fine, I had not realized how much the firewalls of China would impact my trip. All Google services were blocked, which made information searching and navigating much more difficult. Worst of all, I had only kept my flight tickets in my Gmail inbox, so I couldn’t reach them in Chinese network! To break through the restrictions and access other country specific content, you need to establish a VPN (Virtual private network) connection. VPN practically routes your online traffic through another country. 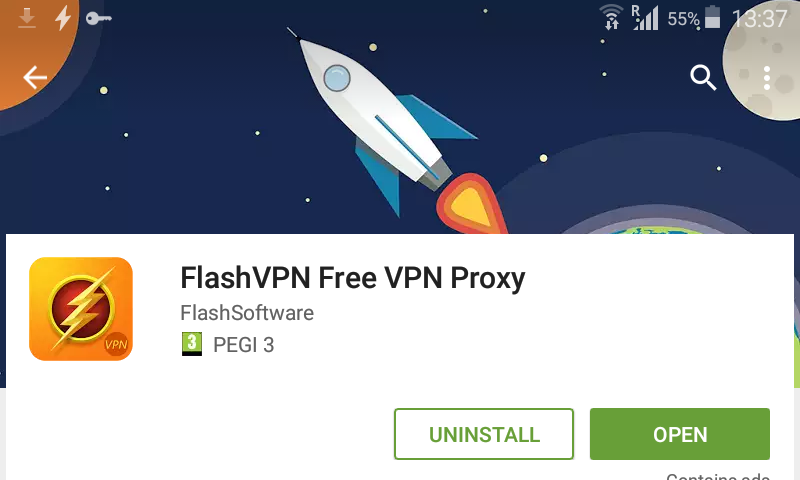 Previously, I used to connect myself to the network of my university, but after I took an absence from my studies, I’ve been using a free application called FlashVPN. When you need to waste time or just want to chill out, music changes the mood and makes the pointers of the clock run faster. You can fill your memory card with music files (that you’ve bought legally, of course), but that makes your music library quite limited. To avoid this restriction, you can download a digital music service such as Spotify. If you want to listen to the songs without restrictions and offline, you need Spotify Premium that costs about 10 euros a month. However, there is one way to save the money for better use: ask a friend to grant you an access to her account! Spotify can only be listened online with one device at a time, so you’ll naturally give your friend the right to stop your listening at any time. You can still listen to the songs offline as much as you want. 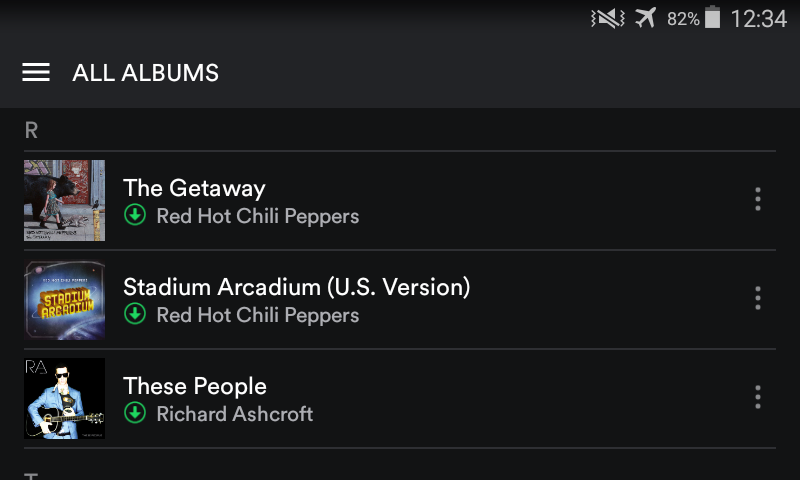 Spotify lets you download songs offline for three devices, so if your friend is not a huge gadget freak, she’ll probably do just fine if the third device is your smartphone. This way, the only thing your friend will lose is her reputation when your eurodance favourites show up in her song feed. Besides the Android apps for long term travel listed above, there are many others that are worth mentioning but don’t need long instructions. As most people already know, WhatsApp is a great way to make phone calls and send messages for free. 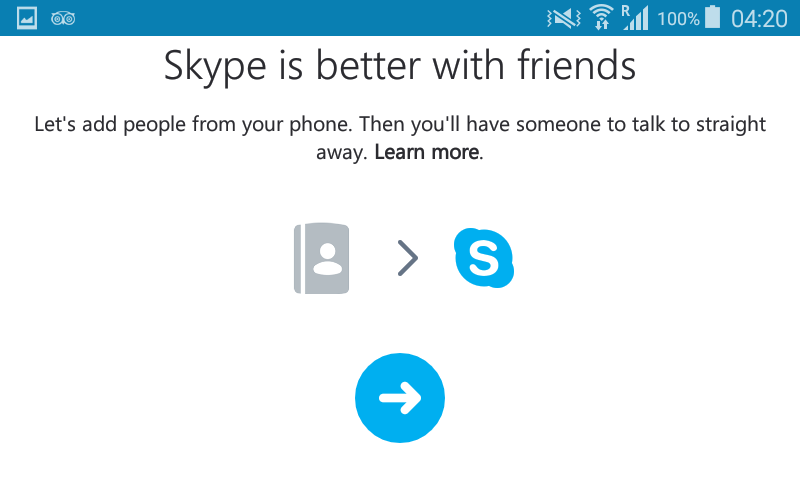 Skype is also useful for long video conversations. Most booking services for flights and accommodation have their own applications, so if you want. Airbnb, Skyscanner, Hostelworld… you name it, they’ve got it. I also use Android’s pre-installed Memo app for all sorts of information. I’ve got one memo for things I need to do and another one for things I just want to check out later to learn more about them. I’ve also written some general information about different places on another file, because the foreign names and small details will disappear from your memory faster than you think. Many Android phones fill their memory quite quickly, so if you want to get the best out of your phone, a memory card is absolutely necessary. Change the settings of your apps to make sure they save the data to the memory card instead of the internal storage, so you’ll have enough space to download the compulsory Android updates. After years of sticking with old Nokia 3310’s, I finally bought a smartphone for my trip around the world. 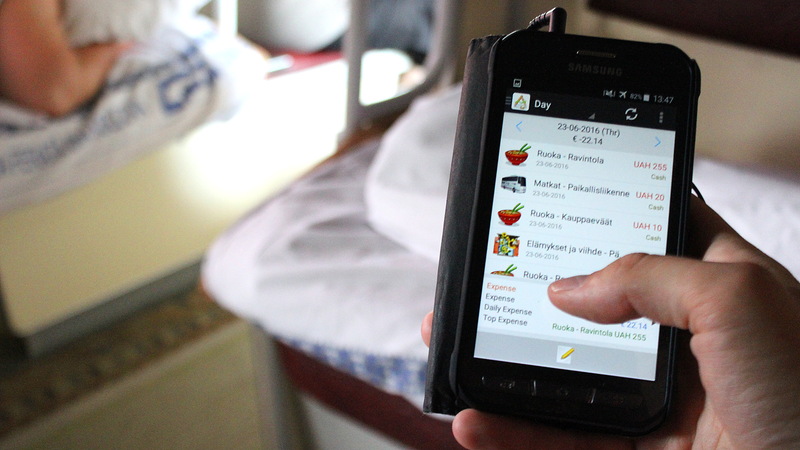 While traveling without a smartphone is still possible, the apps make your journey way easier. When you’ve made the daily chores as effortless as you can, you have more time and energy to enjoy the adventures where your journey takes you. What do you think of the list? Is there something you’d like to add or ask? Share your thought in the comments below! The translations here are not very fluent, so I’ll explain them a bit further. House food means all the food and drinks I store or cook in my accommodation. The following category means things that I buy from shops and eat during day walks and other short trips outside my accommodation. Street food tends to be cheaper than restaurant food, so I made it a separate category. I originally separated the traveling costs by the way of transport I used, but this proved problematic. Why should I put a 6-hour bus ride from Estonia to Lithuania to the same category as a local bus in a city? Is it really necessary to separate subways from trams? What if I buy a day ticket for the local transport? I solved the problem by making day trips and local transport their own sub-categories. I still keep the longer trips from place A to place B filtered by the transportation method. 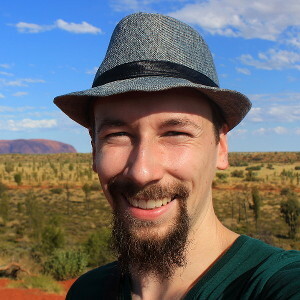 I also have visa costs and longer travel company tours in the same category, which is not the optimal solution, so I might move them to somewhere else at some point.